In business since 1922, This porcelain neon and backlit display was well maintained until the end. Built and installed by Triangle Signs, it was removed in October 2006, also by Triangle. 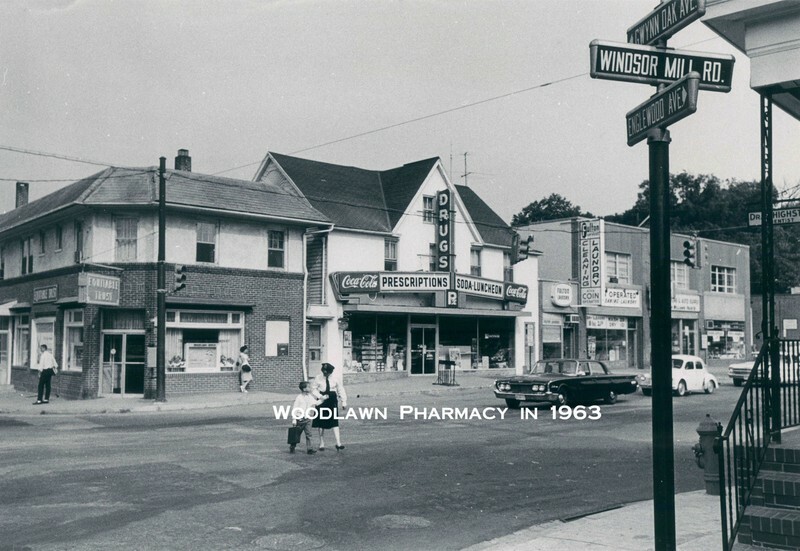 6328 Windsor Mill Rd., at Gwynn Oak Ave., Woodlawn. 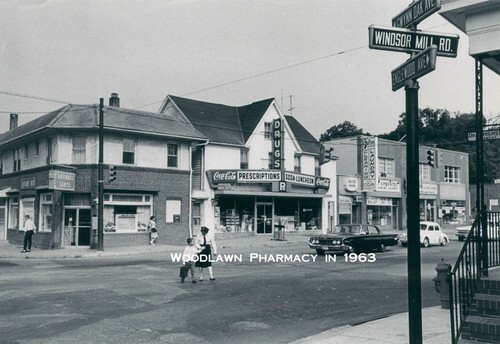 Woodlawn pharmacy quietly closed for business on May 09, 2007. After serving the community for 85 years, I removed the newer signs I had installed just eight months prior. The Original sign, above, is now re-assembled. At 40' in length, 20' in height, angeled up and out, it was tricky to install without a building to attatch to. 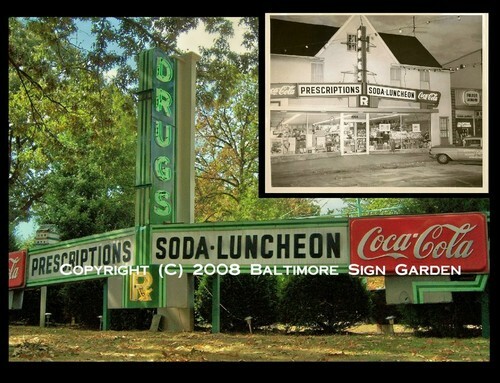 The 12' tall 'DRUGS' portion alone weighs about 400 pounds. An American icon for over a hundred years, Woolworth's marked almost every downtown main street and post WWII shopping center in America. At 90' in length (4 sections), these 4' tall units marked the 1954 Brooklyn Park store. Removed at the closing in 1997. Even with the 'L' not lighting on the displays final night, I was still very much 'wooed' by the the quadrupal rows of red neon...38 amps worth! All underlined by a stainless steel streamlined, radiused raceway. The shopping Center was demolished in 2000 and replaced with a Shoppers' Food Warehouse market and other retail. UNFORTUNATE UPDATE: March 2010 ... It was discovered this sign collapsed under the weight of our record February 2010 snowstorm. The structure was compromised under the 32" of wet snow. Several molded letters were destroyed and cannot be repaired or duplicated. 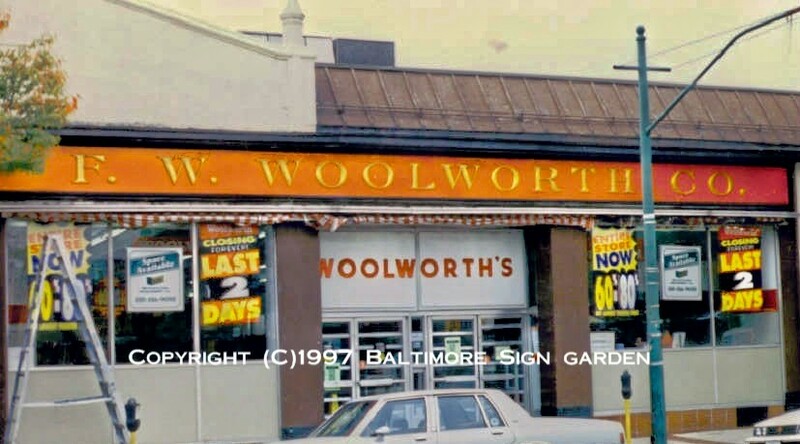 Not to be upstaged by the Brooklyn Park store, this Woolworth on Greenmount Ave. in Waverly offered their 1920's version. Cast Iron, guilded in 21-carot gold leaf, these letters were removed from their red porcelain background. Also acquired were the door push bars ('Air Conditioned...) and the 1950's inserts over the doors. Fabricator unknown. Another familiar chain closed a couple of years after Woolworth's. G.C. Murphys was also located all around town. 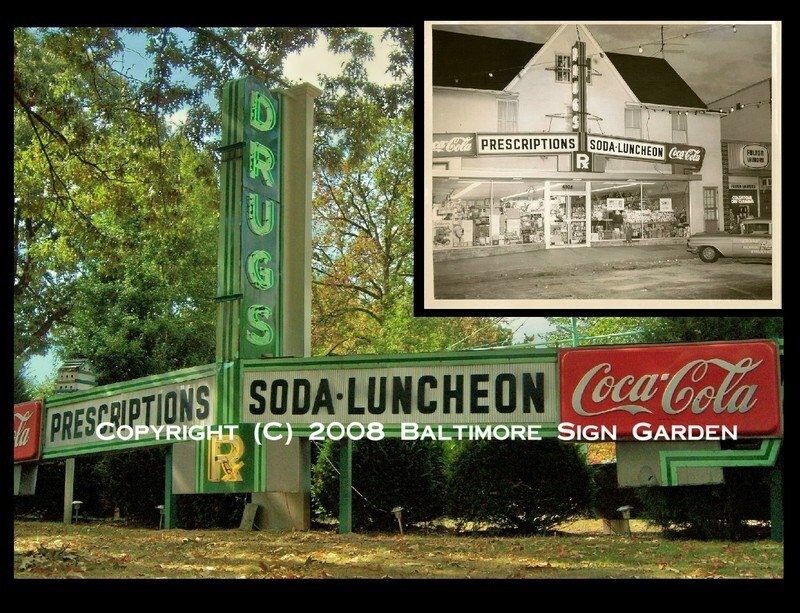 These 1950's lighted letters are one of two sets aquired from the Westside Shopping Center store, on Frederick Ave. in west Baltimore.